Excuse me while I explode with happiness. I can almost guarantee there will be more adults than kids seeing this movie. Equestria is not a normal land. Even for a world that thrives on magic, there are a disproportionate number of artifacts and creations that could be classified as ‘paranormal.’ To keep these from falling into the wrong hooves, Princess Celestia commissioned the Watchmen, a group of secret agents dedicated to the appropriation and defense of and from unusual artifacts. Rarity is one such agent. Her current mission: Tracking down rouge Watchman Twilight Sparkle. So, the last episode was interesting. Under the first hoof, I like time travel stories, and said time travel was far from the worst shown on television. That honor belongs to the Flash, for being illogical and worse; inconsistent. I like that there is no Dues Ex Machina this time, and the alternate futures were creative. Celestia is the mother to Equestria, which makes how terrible she is at it incredibly ironic. She cares for everypony, on a surprisingly personal level. But, there's still this... disconnect. She cares for ponies, but she can't readily relate to them or understand them. In the past, many simple attributed this to her role as Princess, declaring her to be above the common pony. In truth, she has always been like this. So two Tuesdays ago, the 28th of June, I was visiting my mother's parents in Michigan. Guess what movie we decided to see? That night I immediately put my thoughts up on Tumblr, and I'm frustrated it took me this long to get around to mentioning on a the site I've frequented even more. Hello, one and all! I have been meaning to notify you all for a while, now, but I've been busy. In the hiatus, I've gotten about 10 chapters of framework written, but only 1 actual chapter. 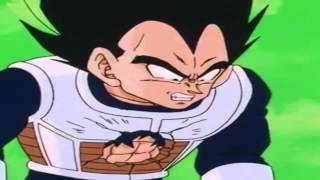 I need an editor to help with my work, and I need them yesterday, since I just keep rewriting the chapters over and over again, so I need some fresh input. I, as of today, have found out about groups. I added a few stories to groups, and others will be added in time... I think. If you have a suggestion of groups for me, then by all means go ahead. I realised that my stories can only get so far on single standing, and with groups they will be able to do better. Getting to a better bigger audience, I mean. Sorry to keep this short. So yeah, we're in for a decently long chapter, and its full of goodness and life. And embarrassment of some of the highest order. expect a lot from this, feels, romance, comedy and most certainly attraction. Lots, and lots, of attraction. So yeah, nothing really to add to this. life is life, and I'm working on that. Report Nasha Rei Kun · 120 views	· #Animaniacs reference #can you find it? Hey, guys, I've been posting similar like this so I deleted all my old blogs and start over again in hopes of finding a proofreader. I'll be updating and adding new chapters every Monday and Friday. I'm also going to work only on "Finding a Place" until about chapter 10, then start a new story, and update both of them regularly. It will come within five days. WWell this is it guys I havee started work on this aawesome story I willl put alllot of work in this story. I have a feeling this will be ammazing uunderstand I had alot of sstuf tto do. I just finished schooll last week and needed to take a brake. Our belovved drakee Spike will be here soon. This is asomberwriter signing off! 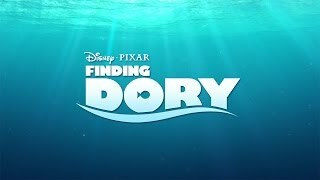 Finding Dory stands as a rapturously moving, deeply heartfelt sequel to one of Pixar's best films, and, while building on the structure and characters of the previous film, manages to take itself in new directions, without ever loosing the endearing sense of heart and soul, and the message of family that defined Finding Nemo. One of the biggest problems I'm having with writing Dante is his origin. He was born in Switzerland around about ten thousand years before the Battle of Earth took place, which is what landed him in Equestria. Switzerland, from what I've found, has only been populated for about ten thousand years. Dante was born just a little after the first tribes took to Switzerland, making him roughly ten thousand years old. SO I seem to have lost a story I wanted to read, I think it was called "Our (Mrs/Miss/Mr) Twilight"
It was a story about Twilight unintentionally getting married to a village chief's daughter, but falling in love with er by the end, I hope it wasn't deleted, it was a nice little story.